Subject To real estate investing strategies can be one of the most accessible methods of starting in real estate investing if you are a new investor, and for experienced investors, it can be yet another strategy to add to your toolbox of creative real estate financing. This is because Subject To is one of the only strategies in which you can acquire properties by structuring a deal in which you may not have to have cash or credit. In this part 1 of the series on the topic of Subject To, I will introduce the concept of acquiring real estate Subject To existing loans; explain what might motivate a seller to agree to sell you their property Subject To; and identify some of the potential exit strategies available to you once you have acquired the property. Let’s start with how buying Subject To works. How is buying real estate Subject To different from typical transactions? Most properties that you will come across, when you’re looking for your next real estate wholesaling, house flipping, or buy and hold investment, have an existing mortgage lien on them. In a typical real estate purchase, when the owner chooses to sell their property, the buyer and seller will sign a standard purchase agreement. This contract will outline that the buyer has to come up with the cash or a new loan to pay that existing mortgage off, with any remaining equity going to the seller. Unless the buyer has all cash, then, a typical sale results in the application of a new mortgage in the buyer’s name to pay off the existing mortgage that is in the name of the seller and secured by the property. Of course to apply for a new mortgage, the buyer has to have the credit, down payment, assets, liquidity, and Debt-to-Income ratio required to be approved for that mortgage. In a Subject To real estate agreement, however – also referred to as “Sub To,” “Subject 2,” or “Sub 2”, the need for good credit, cash, closing costs, or even a down payment from the buyer is bypassed. In this arrangement, the buyer will take over the current loan payments rather than obtaining new financing, and the mortgage — and credit risk — will remain in the seller’s name. After negotiating a successful Subject To real estate contract, and closing on the house you will have legal title the same as with any other real estate purchase. The HUD1 settlement statement will indicate that existing loans were taken subject to, and you will take title encumbered with the original loan. Once you have the deed, just as with a traditional purchase, the seller moves out of the property and you are free to sell the property to another investor, rehab and flip the property, or rent and lease the property. Who is involved in a Subject To transaction? There can be two or more direct parties to a Subject To transaction, but there will be at a minimum: a seller and you, the investor. You have your attorney available for guidance and closing. Sellers likely to enter into a Subject To transaction are those we call motivated. 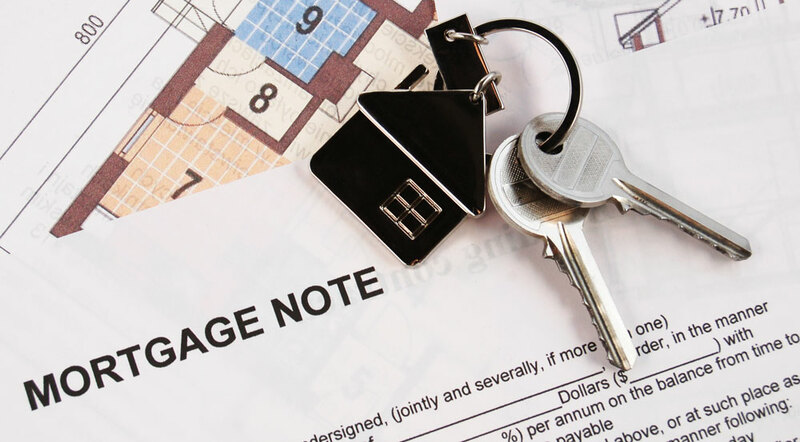 These motivated sellers have possibly had a series of life events that have resulted in considerable financial distress. It’s either this stress, or a combination of other reasons, that explain why they need someone to step in and make their mortgage payments for them. Your ability to offer this creative financing alternative creates a win-win result in many situations. It can be a way out for a seller that may be out of conventional options. And whether you are a wholesaler, house flipper, or income property investor, it gives you the ability to enter into more deals and apply an array of exit strategies to profit from. This is perhaps the most important person in the transaction. Although you can find many contracts online, I highly recommend that you have your Subject To real estate contracts and other paperwork prepared, and looked over by a real estate attorney in your jurisdiction. Laws in each state vary widely as to how this kind of transaction can be executed within the confines of the law, and your attorney is going to keep you out of trouble so you can focus on more deals. In many states an attorney is even mandated by law for closing. Why would a distressed seller agree to keep the loan and give you the deed? Motivated sellers in some categories of financial distress are likely to gain benefits from selling their property Subject To. All of these are usually signs of deeper problems motivating them to sell as quickly as possible and interested in selling their house Subject To a mortgage. These can be life events such as someone in the family losing their job, the sellers are divorcing, health issues, the sellers need to move and can’t afford two mortgages (or the headache of managing tenants in the previous home) and so on. Put yourself in the seller’s shoes: they are getting deeper into debt by the day, with no way to pay what they owe to the mortgage lender. With every payment they miss, their credit is getting worse. They need to get out from under the property immediately, so there is no time for a traditional on-market sale. If there was time for a traditional sale, the sellers still would not have the money for, at a minimum, realtor’s commissions and closing costs. That’s where you step in to help them out of their predicament, and make a profit as well, for a win-win scenario. Note: The more payments a seller is behind, the more complicated a Subject To transaction becomes. In general a borrower must be 120 days past due before foreclosure proceedings can begin. For that reason, when first starting out with purchasing properties Subject To, you may want to focus on helping only those sellers who are in moderate financial straits, such as ones who have not received a notice of default, and ones who have only missed 1-4 payments, as those can be cured easily. What kind of motivated sellers are poor candidates for Subject To? Sellers who are less likely to agree to hand over the deed include those with a lot of equity in the property, ones who want to see that equity in their bank account immediately, as with a cash sale, or sellers who have plenty of assets and are willing to wait to obtain greater returns. These sellers, who likely have good credit, high equity, and lots of time, are better candidates for a lease option. What are the available exit strategies when using Subject To to acquire real estate? Because buying properties Subject To is about getting title to a property with little or no money down, it enables you to enter into more deals than you could if you only relied on conventional financing methods. Not only does it improve your ability to acquire properties, it can also improve the profitability of your exit strategies in a number of ways. Here are a few ways in which you can realize profit on a Subject To deal. There are three major ways to approach exiting a property Subject To that you have under contract as quickly as possible. The principles of assigning a Subject To contract to an investor, Subject To the existing mortgage, are exactly the same as with a standard wholesale assignment transaction. If the property needs rehab, and you are able to negotiate a low enough price for the property as well as your fee, you may be able to assign the Subject To contract to a fix and flip investor for example. If you are a wholesaler that just closed on the property Subject To, the beauty of marketing it after the closing is that you already have title to the property, so you are not under as much time pressure to market the deal, as long as you can maintain the existing loan payments. Are there any problems with assigning a contract or selling a property that you acquired Subject to and keeping the Subject To provision in place? Just because you can assign a Subject To contract, or sell a property that you acquired Subject To and maintaining the Subject To mortgage provision, doesn’t mean that you should. There are both ethical and legal implications. When you signed the contract with the seller, you entered into an agreement that identified you as the one who will solve their problem. If you transfer this responsibility to another investor, you can no longer guarantee to the seller that the seller’s interests will be taken care of as originally agreed. That’s the ethical question, one that you have to answer for yourself. There’s also a legal implication. Simply assigning the contract to another investor, or selling the property, unless fully disclosed, and documented with a release signed by your original seller, may not absolve you of the legal responsibility to that seller. If you entered the contract with them and assured them that you would be the one making the payments, and the investor that purchases your Subject To contract misses payments or defaults on the loan, then the seller may have a legal case against you for breach of contract, or even fraud. I will cover some of the other risks involved with Subject To, and how to mitigate them, in Part 2 of this series. In a rent-to-sell strategy, and if the property is in a rapidly appreciating market, you might be able to rent a property for a short time while it appreciates, and maybe lightly clean it up before putting it back on the market to either sell as a fully occupied rental, or sell retail to a hopeful homeowner. With this strategy, your renter pays the monthly mortgage payment while you are marketing the property for sale, truly reducing your financial contribution to make the deal happen to nearly nothing. If you don’t need to sell quickly, but are still looking to cash out relatively soon over creating cash flow, then you have some great options. Lease options are a great method often used in tandem with Subject To transactions. They are similar to the Rent to Sell strategy, except that instead of placing a renter in the home, you find a buyer who wants to lease the property from you, with an option to later purchase the property outright. To illustrate, you will get the deed from the seller Subject To the existing mortgage, and then you will find a buyer who is interested in an option to buy the property at some point in the future, as they may not be qualified to do so just yet. So instead of renting the property month to month, you will lease the property to this potential buyer, with an option for them to purchase the property in a certain number of months or years. You may be able to get monthly cash flow from the property, if you are charging more than the existing mortgage payments that you are paying on the Subject To loan. You can make money when the lessee purchases the property from you at the end of their lease option, if you negotiated a purchase price that is higher than the one you negotiated with the original seller when you purchased the property then. If they decide not to buy, you simply start the process over again with another lessee, and because the option fee is non-refundable, you keep it. You win if they buy it. You win if they don’t. If you were able to negotiate a low enough price for the Subject To property to make a fix and flip viable, one of the benefits is that your financing holding costs will likely be far lower than if you were to use a traditional hard money loan. You are essentially adopting the seller’s mortgage rate, which can easily be at least half of hard money rates. This can greatly improve the profitability potential of your flip, especially if the interest rate is very low. There are three major issues with flipping a Subject To property. If you purchase a property Subject To, you always run the risk of the lender calling the loan if they find out that the property was transferred. If the lender calls the loan and you cannot refinance, you might be at risk of losing title to the property and all of the cash that you put into the improvements. Similarly to having the loan called because the lender found out about a transfer, if the lender forecloses on the property because you weren’t able to make the payments, you will likely lose the money that you invested into it. You may have a hard time finding hard money to finance any part of the flip, if there is an existing loan on it, so you will likely need to fund it yourself or by using private money. A property acquired using Subject To can make sense as a rental in the same way that any other rental property makes sense, if you have positive cash flow and a good long term return. Keep in mind there are direct impacts on the original seller when you are holding the property for a long time while maintaining the Subject To loan. One of the major impacts to the seller is that this agreement largely prevents the seller from getting any other loan and improving their financial lives. Because the seller already has a mortgage on their credit, they cannot qualify for another mortgage, even though they are no longer responsible for making the payments on the current mortgage. While there is absolutely nothing wrong with acquiring real estate Subject to existing financing, and by doing so you are providing a valuable option to sellers that need it, relying on someone else’s credit to finance your income property portfolio for an extended period of time does not pass my personal ethical smell test. For this reason, and others, you should consider refinancing a buy and hold property that was acquired Subject To an existing mortgage as soon as possible, or as soon as you can show the bank that the cash flow is supporting the property. By now, you should have a pretty good understanding as to what it means to purchase real estate Subject To an existing mortgage, the parties to it, the sellers that may benefit from it, and how you can ultimately profit no matter what strategy you decide to use. The benefits and risks to you and the seller are probably the most important aspects of a Subject To transaction, and understanding them will allow you to protect yourself, and them. Read more about how to do that in Part 2 of the series: The Benefits and Risks of Investing in Real Estate Subject To an Existing Mortgage.